Today was our last day on this wonderful return trip to Guatemala. 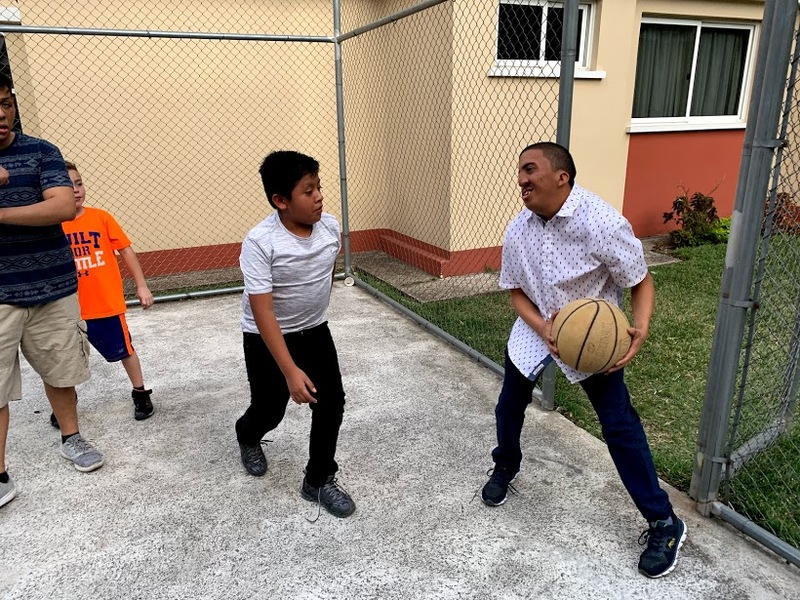 Like any time away from home, it has gone by so quickly, but we thank God for the opportunities we’ve had to serve as a family, reconnect with old friends, and build new relationships. We started our day with the team at a church in Guatemala City. The children were already assembled inside watching a movie and waiting our arrival. 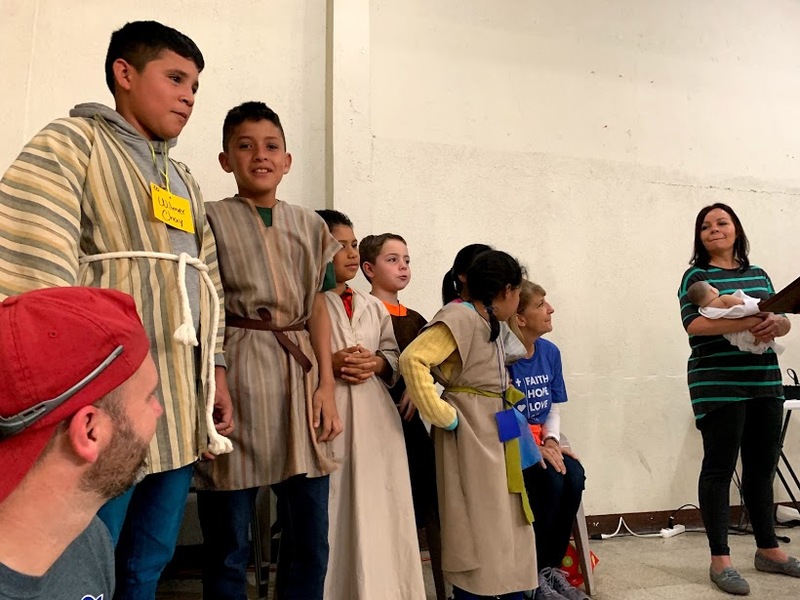 The Buckner staff, volunteers, and church members were aligned and organized for the day’s activities. Members of the local church started the kids off with some fun electric worship music. 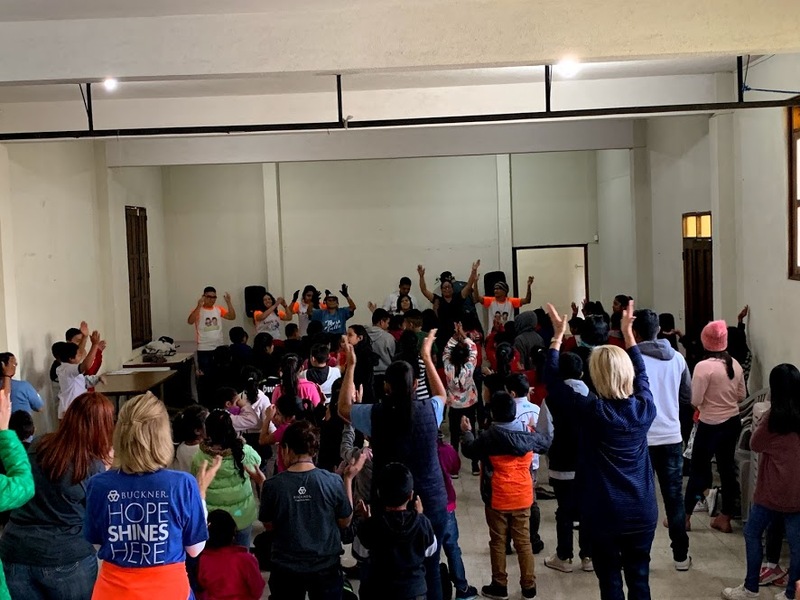 Members of our team gravitated toward the kids and participated in singing and dancing right along with everyone else. We definitely made a joyful noise to start the morning! 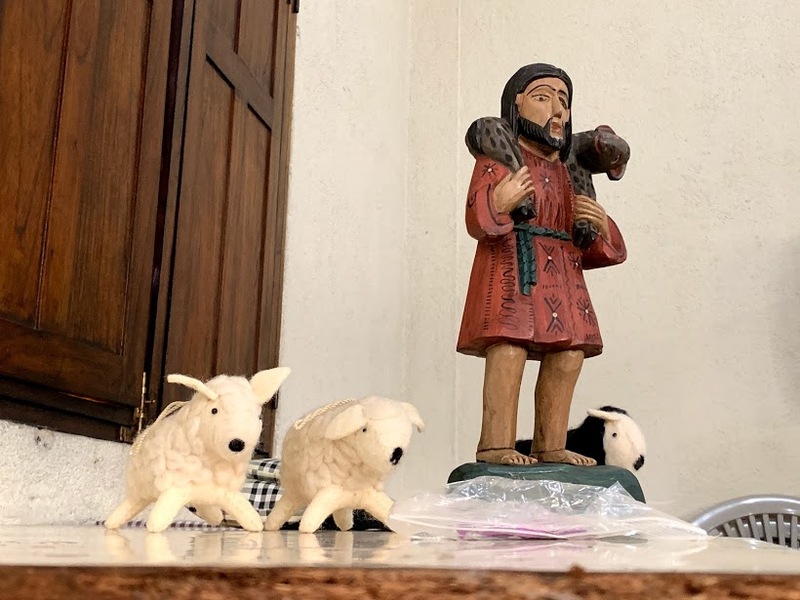 Next, we proceeded with the Bible lesson in which Emily and Karen again delivered the message along with the supporting cast of David the shepherd, David the king, the angel, and the shepherds. We are so proud of the roles Sam and Juan Pablo played in the lesson this week. The reactions they received from the kids were encouraging and motivating for them. Presenting the Word of God is always the priority and most valuable part of our time with the children. For some, they may have never heard John 3:16 or David’s story. Many, however, did know the name of the One who would come after David and bring salvation and healing to our world: Jesus. 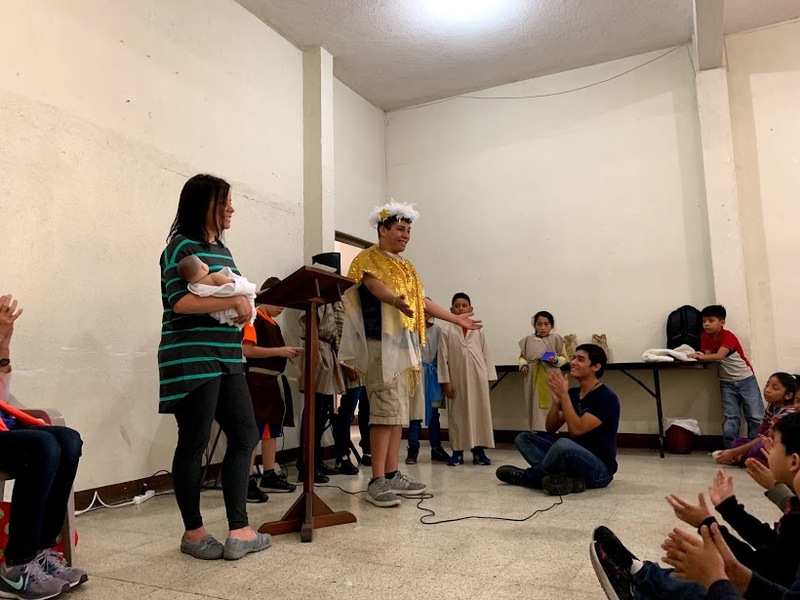 Our hope is that they will keep the truths heard this week in their hearts and commit to following after Him and transform Guatemala in the next generation. 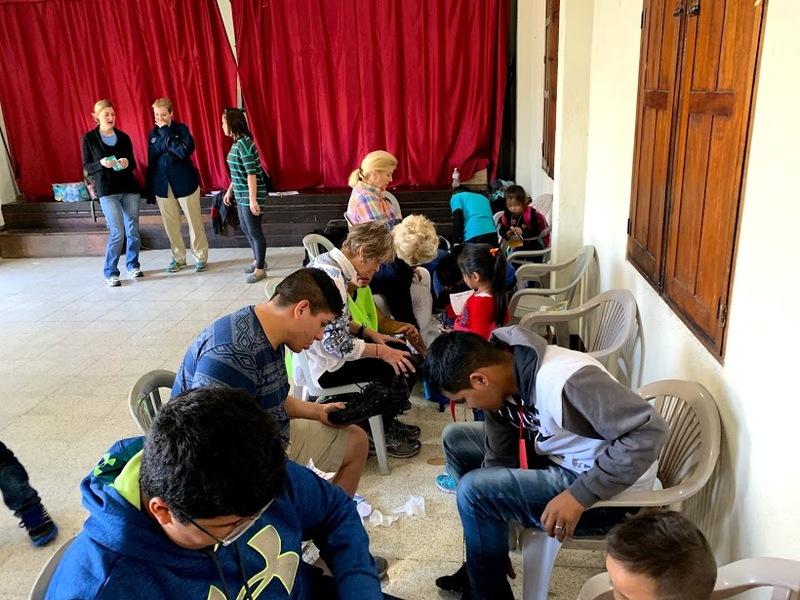 After the Bible and hygiene lessons, the kids split up into groups between crafts and bingo. One of the team members brought a bunch of jewelry that would serve as prizes for Bingo winners. As the numbers were called out, several of us walked around helping the kids review their cards to see if they had the number that was called out. Juan Pablo was also trying to listen for the letter and number combinations to help the children along. We ended the morning session by again distributing backpacks with school supplies, tooth brushes, and a new pair of socks and shoes. There were probably around 60 kids that attended in the morning. We split from the team in the afternoon as we had another reunion planned. This time it was with Chiqui and her family. 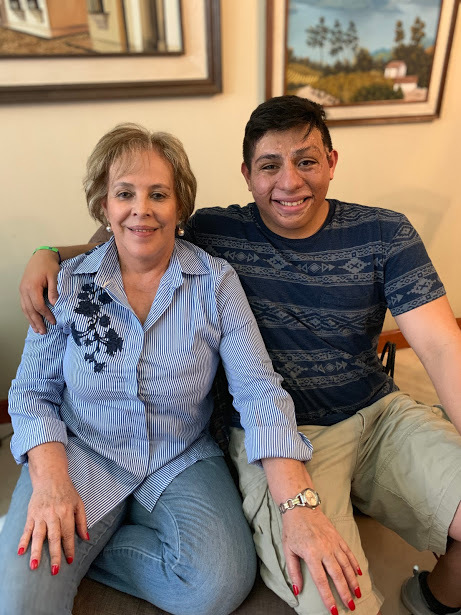 Chiqui is a former director of Buckner Guatemala and she along with her late husband Sergio fought to give Juan Pablo the best care possible and were major contributors in the adoption process. Pictured below is JP and Chiqui before we left Guatemala 9 years ago next to their current picture. 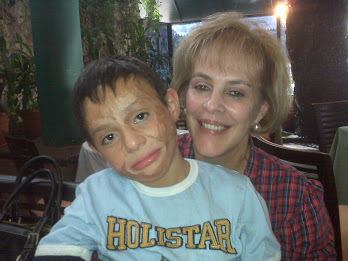 Chiqui has 2 children who we remember well from our previous trip: Cristian and Beatriz. We have stayed connected with Cristian on social media through the years and today, he sent me some flashback pictures of us from a previous trip before we arrived to their house today. He has a detailed memory of our times together. 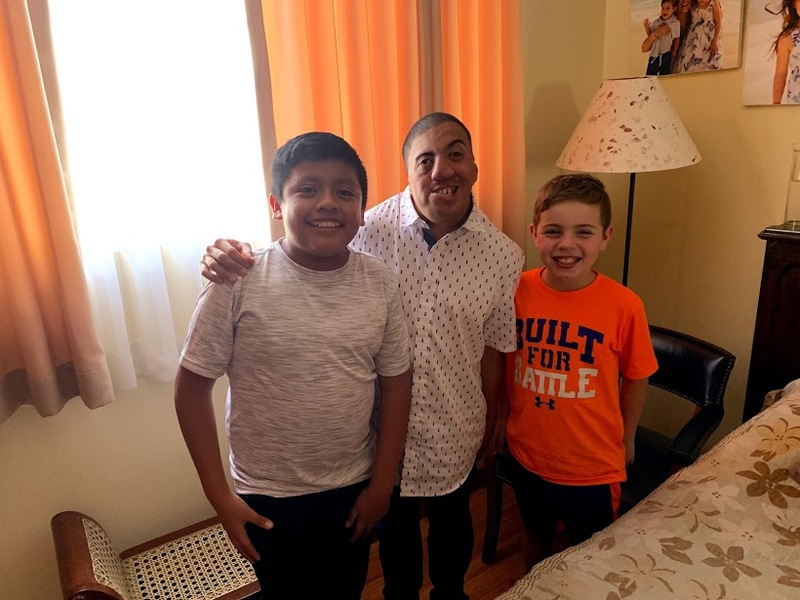 He was so excited to see and spend time with Juan Pablo and Sam along with Andrés. 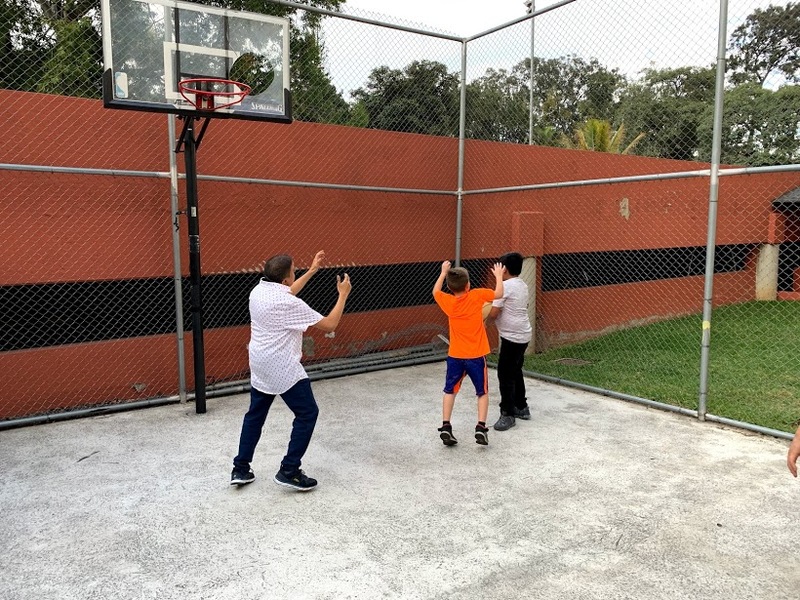 Despite not being able to speak Spanish, it was evident that Sam made a connection with his new friends by hearing their laughter, seeing them negotiate a game of hide and seek, then playing some basketball. The picture below represents the ultimate reunion that includes several who have made huge investments in Juan Pablo’s life. We are eternally grateful for the contributions each have made for JP. 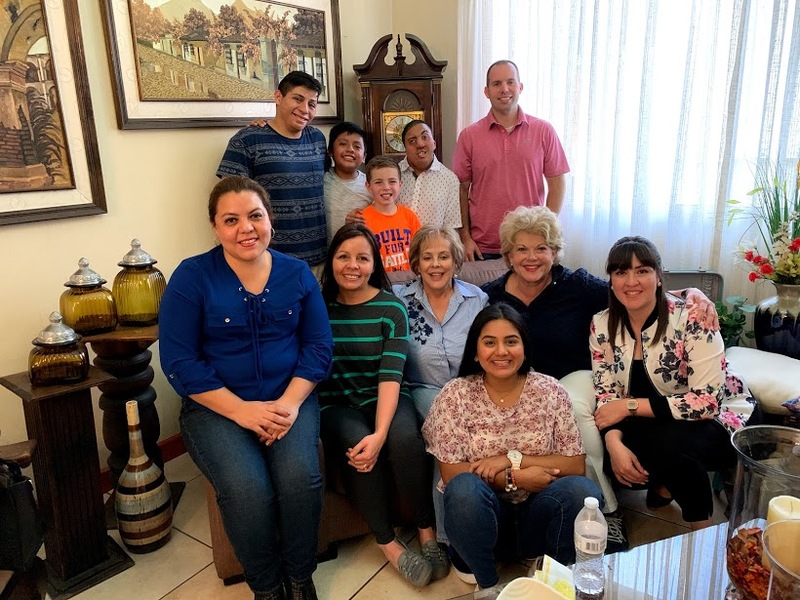 It was a perfect way to end our trip by catching up with Chiqui, her family, Ana, Jenny, and Karen. Our first trip back to Guatemala since 2009 was a success. It exceeded our expectations. 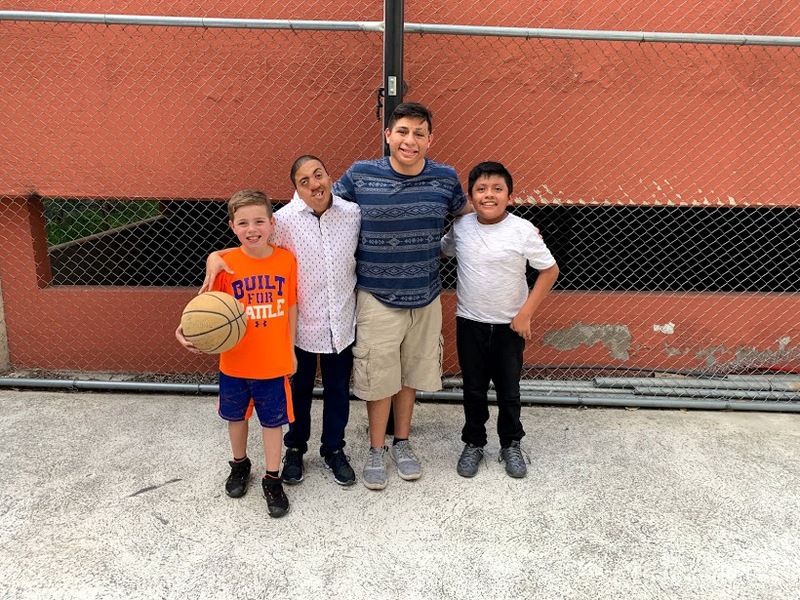 Juan Pablo returned to his home country and observed his native culture while giving back to reach those in whose shoes he once stood. 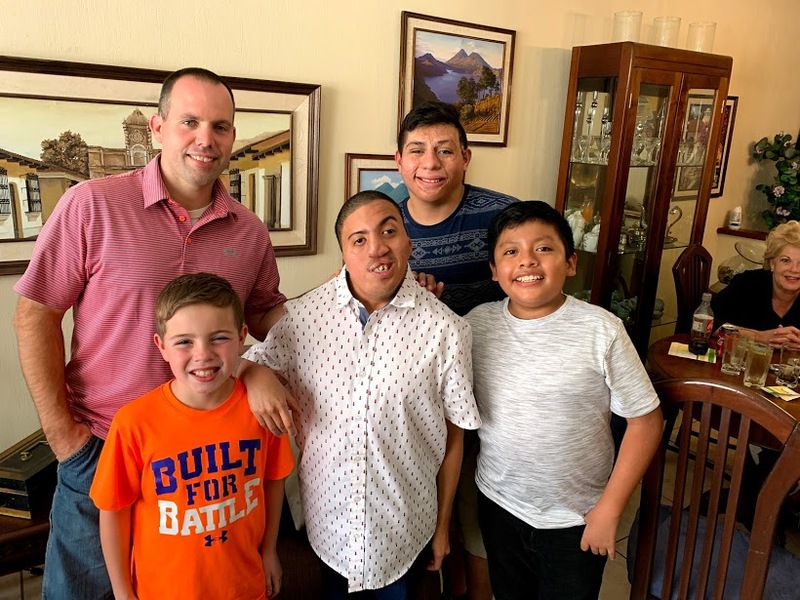 Sam opened up to kids he didn’t know nor could communicate with in order to not only meet a tangible need, but bring hope and joy. 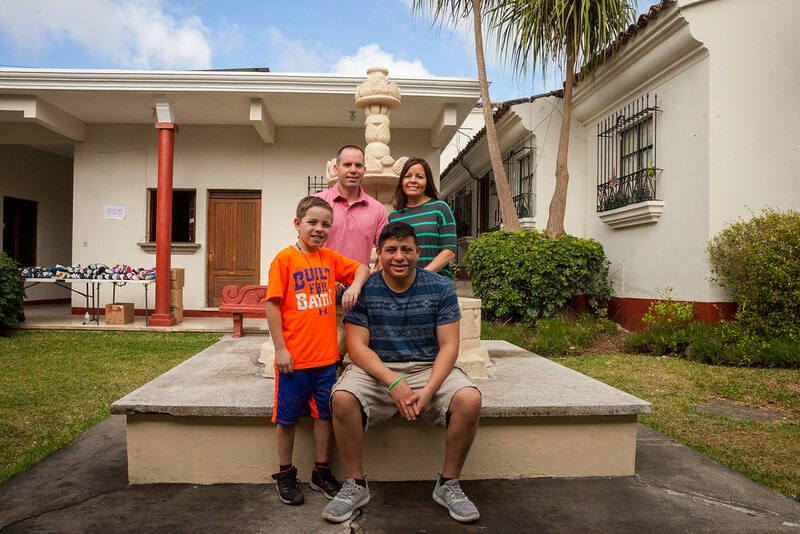 For us, we were able to serve alongside our kids and a passionate team from Texas whose love for the Lord and Guatemala is inspirational. 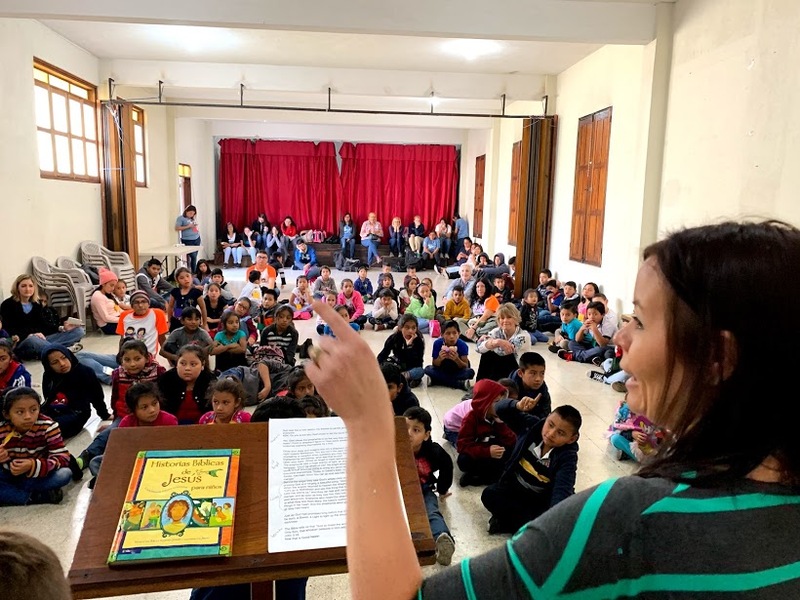 Together we wre able to plant seeds in the hearts of many children and support existing local ministries that are already impacting hundreds of families in Guatemala for Christ on a daily basis. 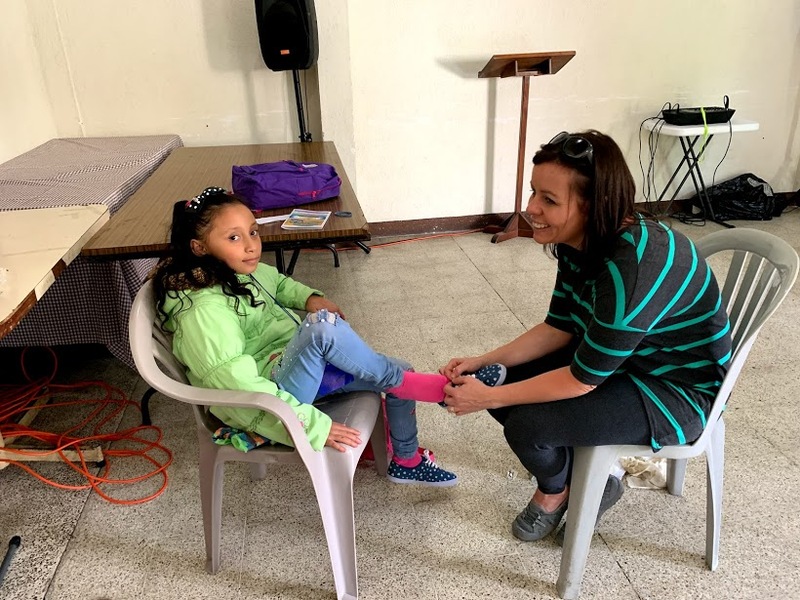 Additionally, we were able to send hundreds of kids back to school with new supplies, shoes and socks, and the ever present hope that God is with them each step of the way. We will be praying about God’s plan and timing for our next trip to Guatemala. Until then, hasta luego!